Tooth whitening is a well-established procedure in cosmetic dentistry. Carbamide peroxide, the active ingredient, has been safely used for many years in the treatment of gums and other oral soft tissue. Having whiter teeth is now the number one cosmetic concern for many of our patients. 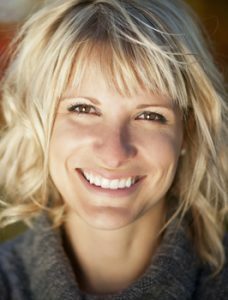 We cater to these needs by offering state-of-the-art whitening techniques! You can reverse almost any stain with professional tooth whitening, and begin enjoying a brilliant and bright smile once again. Why Choose Whitening at Harris Family Dental? If you choose teeth whitening at Harris Family Dentistry, you should know that the professional process we use is safe, simple, and highly effective. Over the counter whitening products cannot get you the optimum results. While darker stains, such as those caused by antibiotics, may take longer to respond to treatment, the majority of discoloration issues can be resolved by teeth whitening. The degree of whiteness will vary from patient to patient, depending on the duration of time that the system is used. You can expect comfortable and accurate tooth whitening at Harris Family Dental. If you’re ready to see stunning results, and find a new sense of self-confidence, come speak with Dr. Wendy or Craig Harris about teeth whitening here at our practice. We have the experience and know-how to give you a low-sensitivity and highly effective whitening procedure. Call us today to schedule your whitening consultation!